Judy Nicholson Kidney Cancer Foundation is dedicated to providing patients, survivors, and caregivers with education and support. The Judy Nicholson Kidney Cancer Foundation is a charitable organization made up of patients, family members, caregivers, physicians, researchers, and other health professionals. Dedicated specifically to the education, awareness and eradication of suffering from renal cancers. We fund, promote, educate families and physicians, and serve as an advocate on behalf of patients at the state and federal levels in the United States and globally. Learn more about the team of the Judy Nicholson Kidney Cancer Foundation. Click Here. FREE Kidney Cancer Symposium coming to Kidney Cancer Education Symposium, Saturday, June 8th, 2019 in Indianapolis, IN. Details coming soon! During the Christmas and New Year period of 2007, Judy Nicholson was engaged, happy and involved with no indications of an illness. On February 27th, 2008, she experienced a fainting spell, which was an unnatural event for her suggesting immediate further examination. On March 14th, 2008, her left kidney was removed by an outstanding team of physicians at Mayo Clinic, Jacksonville, Florida, following a diagnosis of renal cell carcinoma (kidney cancer), which had spread to her lymph nodes and to the aorta from her kidney. She underwent chemotherapy as quickly as medically possible. On August 1st, she was readmitted to Mayo Clinic for surgery to remove an aggressive tumor that had destroyed one of the vertebrae in her spine replaced by a prosthesis. The cancer had injured critical nerves in the spinal column causing paralysis of her left leg in addition to the harsh effects of the invasive cancer. Throughout this ordeal Judy maintained a positive, courageous outlook, and was an inspiration to her family and friends. Judy left us on October 11th, 2009, after fighting a valiant battle she could not win. Judy had never been admitted to a hospital except to give birth to two children, and prior to the fainting spell, she had not experienced any symptoms that would have led one to suspect she was ill. She was examined by physicians in December 2007 as a precautionary measure for another condition, and during that exam, there was no reason to investigate further for any condition. Had a screening test been available, such as the PSA test given to men for prostate cancer, perhaps Judy would be with us today due to early detection of the cancer. 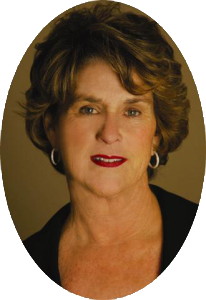 Judy loved her chosen profession as a realtor for Watson Realty Corp. taking great personal satisfaction in assisting her clients, many whom she later befriended. She also achieved the distinguished CRS designation. During her final 15 years as a sales professional, she was always among the top 10 Watson Realty Corp. agents with the highest annual volume of closed sales transactions. In 1995, Judy was the number one sales leader of over 300 sales men and women. She was proud of her work and she thoroughly enjoyed the friendships of many at Watson. She thought of realtors Janet Palmer and Bob Ransom as her mentors.